This question has been in the headlines recently as it seems more and more people are putting their children in a padded or puffy winter coat while travelling. 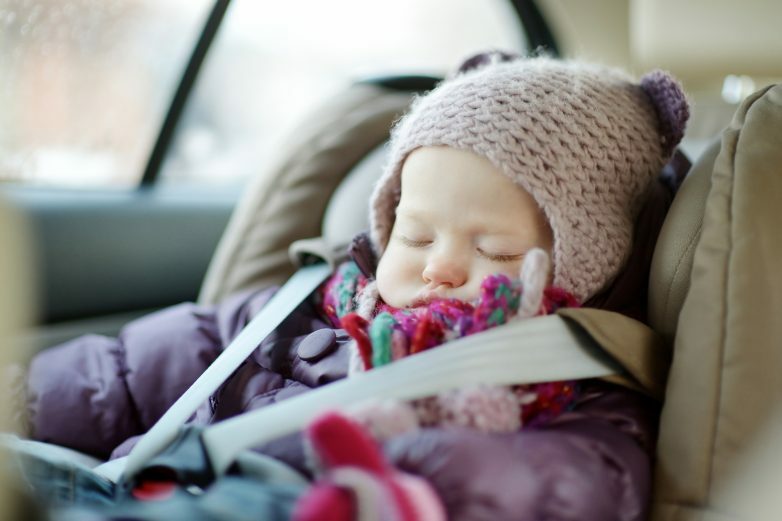 If the weather is cold and your car isn’t warm, you can place your child’s coat over their arms at the front so that the coat acts as a blanket keeping them warm. You can also make sure your car’s heating is on making it nice and snug before you put your child in the car. If you decide to use a blanket on your child while in the car to keep them warm, make sure the blanket is tucked in and does not come above their armpits. As a side note, there is also a risk of your child over-heating if they are wearing a coat while traveling in a car. BubbleBum Travel Car Booster Seat recommends removing your child’s coat before they are placed into their car seat and it should remain off while traveling. There are many other methods to keep your little bundles toasty warm while in the car this winter. BubbleBum is a compact, inflatable, lightweight, car booster seat that makes it easier than ever to make sure your child travels safely on every single car journey. It’s perfect for school runs, as well as vacations, and trips! Follow us on Twitter or Facebook for news of upcoming discounts! Click to see the full selection.